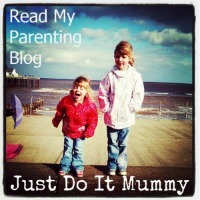 On Saturday, I attended CyberMummy11 - described as the UK's premier parent blogging conference. Now I will admit, as a new blogger, I hadn't even heard about Cybermummy until hearing about it at Blog Camp last Saturday, but when Johnsons Baby offered sponsorship via twitter on Wednesday and agreed to sponsor me to go, I was absolutely delighted and so excited!!!! Don't plan anything the day after Cybermummy as you will only have the capacity to sit on the sofa and veg. Sarah Brown - who is not "ordinary" but is "normal" - so lovely and an amazing campaigner for women and mothers in pregnancy, childbirth and parenting all over the world - a cause very close to my heart. Love the stories about how mothers keep the family unit together - no matter who they are. Got her to sign her new book for me too! Danielle Fudge - SEO analyst for Disney - My favourite speaker apart from Sarah Brown. Danielle was so knowledgable and had loads of advice on google, SEO and RSS - the most useful speaker by far. Blogger-to-Blogger Inspiration Workshop - Real bloggers can tell it like it is and give brilliant tips. Too many to count – everyone looked fabulous, especially thanks to the P & G Recharge room with hairdressers, makeup artists and massages. • Leap Pad learning tablet - My eldest has the explorer which is fab so this is a welcome addition to the leap pad range and possible christmas present I sense! Johnsons Baby - my sponsors are launching the Wipe out Waste campaign to recycle baby wipe packs - a welcome introduction for mums like me who use wipes A LOT! Thank you for the mention - I never thought to suggest using the tablecloths as massive tissues. Great round up but I am VERY intrigued to find out who the "not great in real life" people are!! Re the business cards - I had pockets full of other peoples and kept almost giving those away when dipping in to get my own. LOL! It was great to meet you, and I love your round-up of the conference. I really enjoyed meeting so many of the bloggers I've got to know over the last few years, and also meeting so many new bloggers (or new to me anyway!). Hope to see you at a future event. Nice to meet all of you also, I look forward to seeing you at future events!! Great summary. I thought Danielle was excellent too. You are too welcome and glad Johnsons worked out.